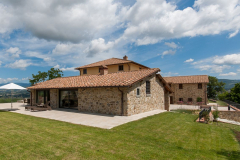 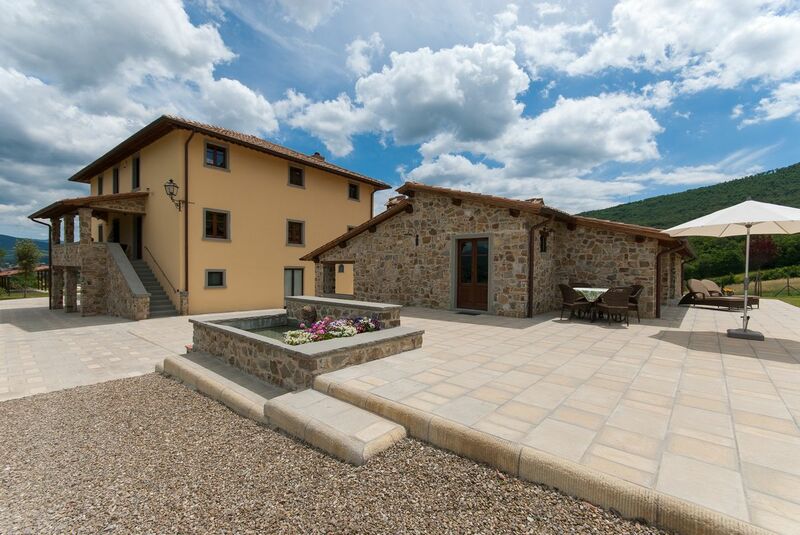 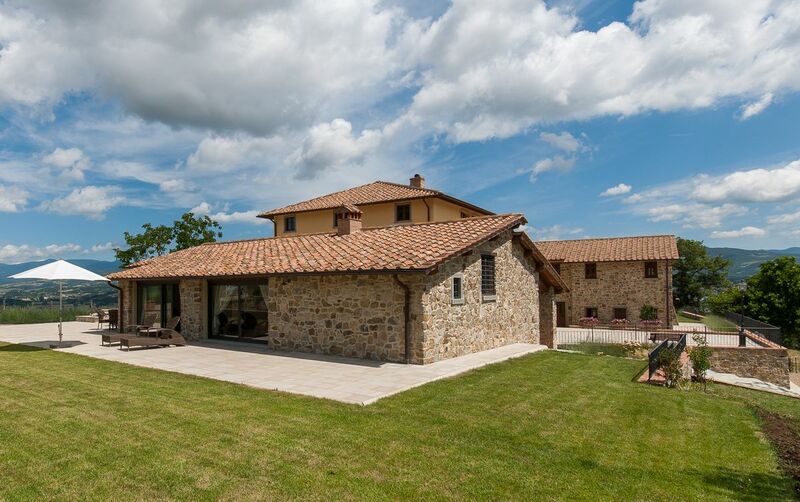 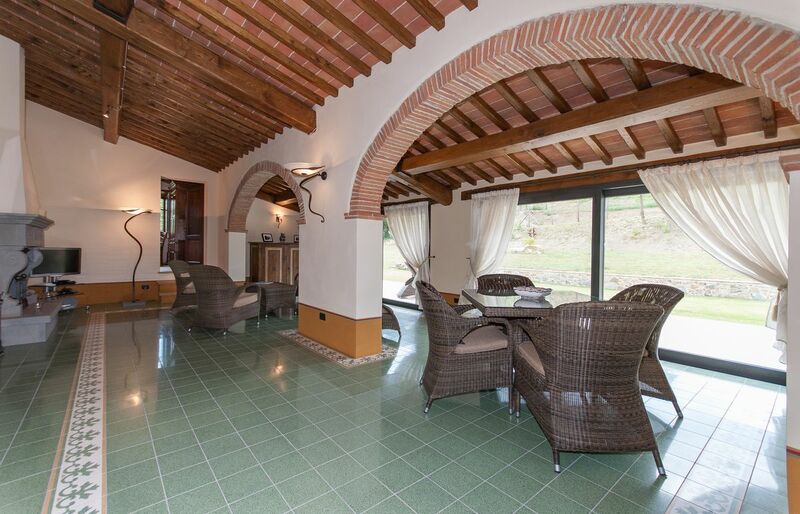 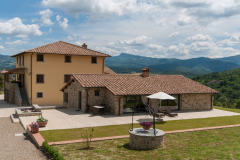 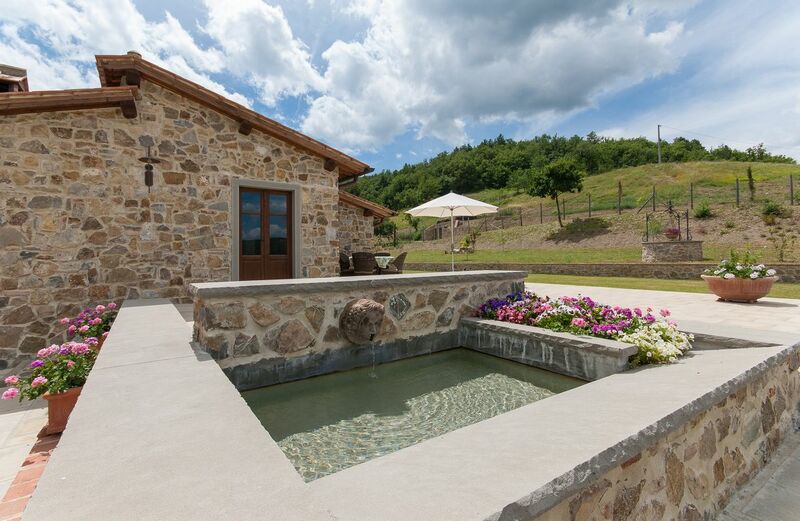 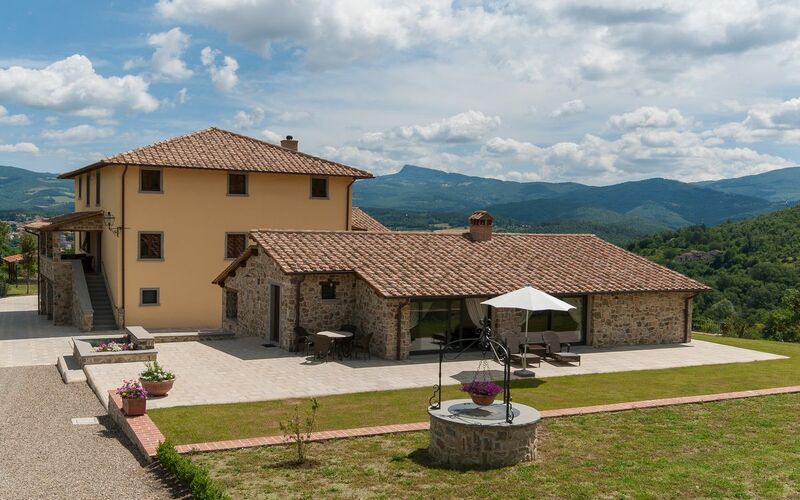 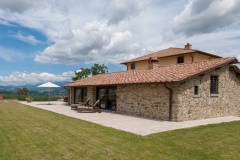 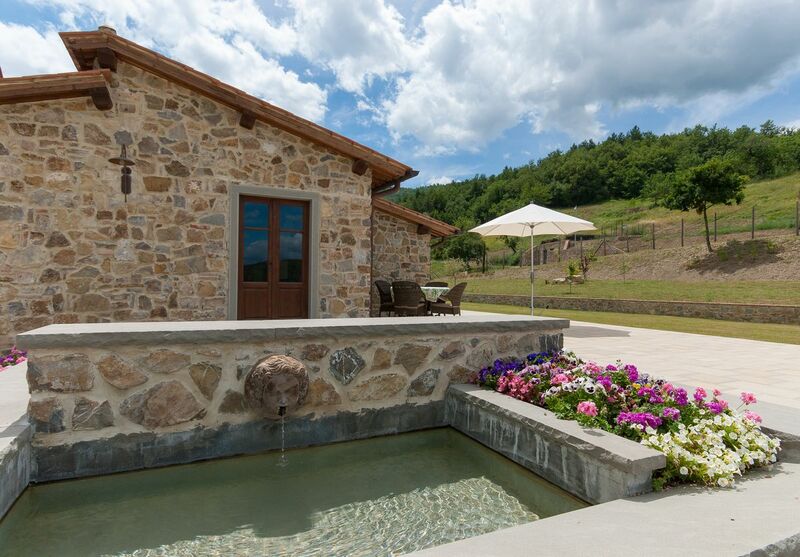 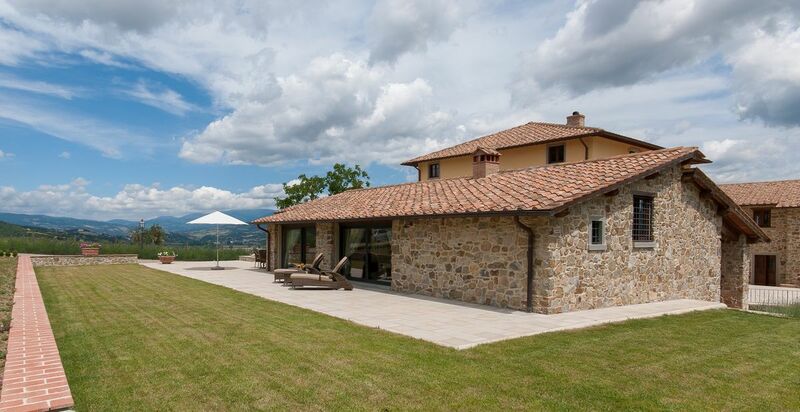 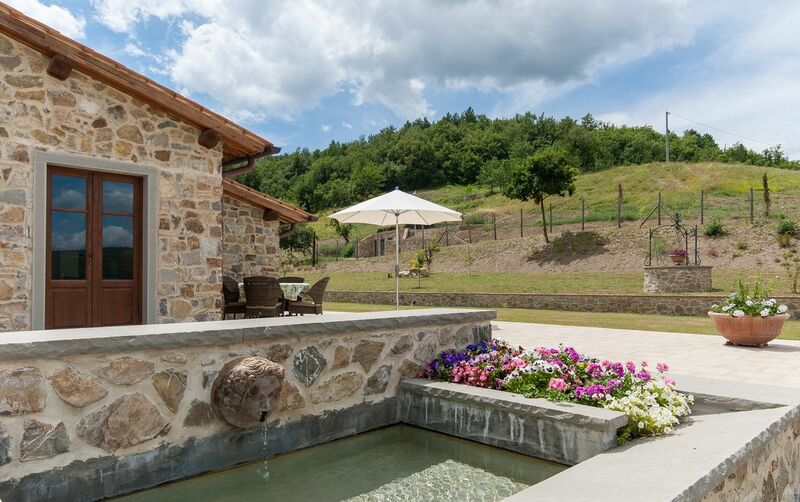 Beautiful holiday home for 4 people in Tuscany. 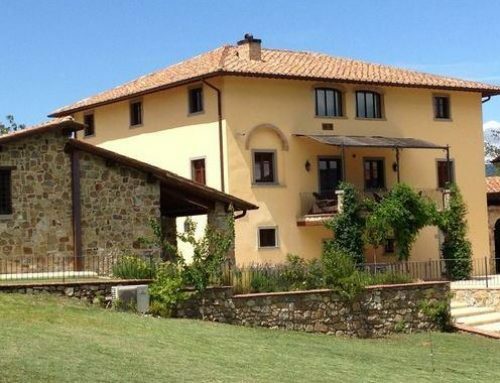 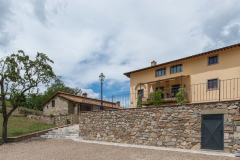 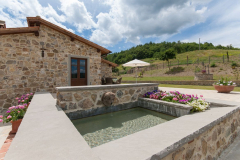 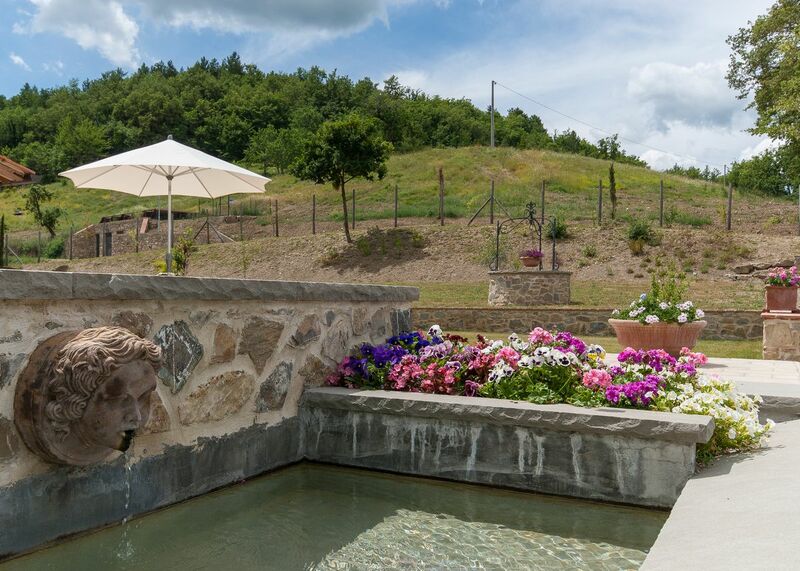 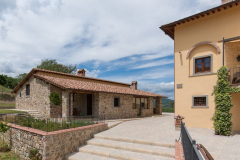 Located in Borgo La Casa on a hillside in the Casentino area near the medieval towns Poppi and Bibbiena with the cities of Arezzo and Florence within reach. 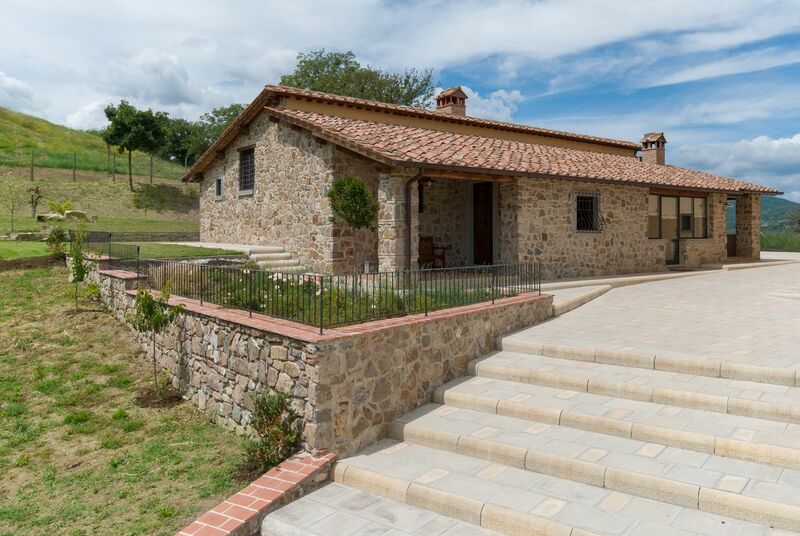 Where in the old days a pig stable used to be is now a beautiful and well-equipped 4-sleep ground floor holiday home: Casa Girasole (sunflower). 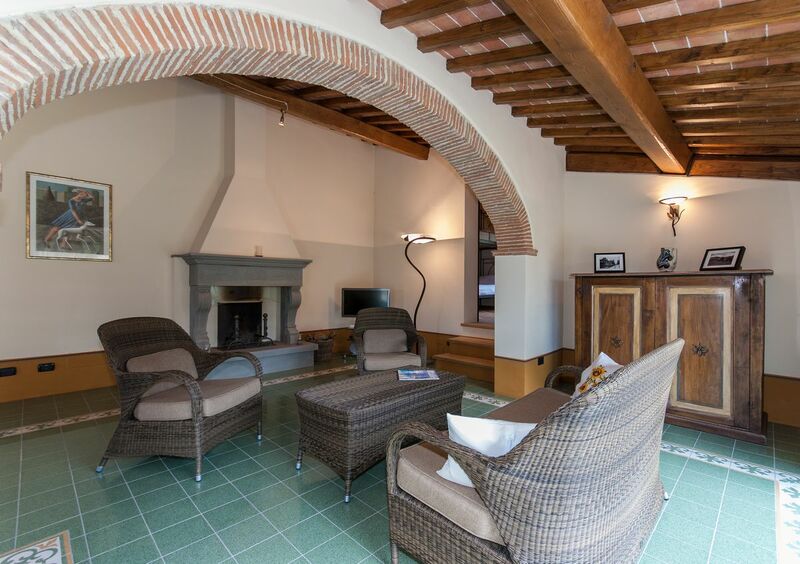 The holiday home, with air conditiong in both the living room and the two bedrooms, has a spacious terrace with outdoor furniture and a small loggia where you can enjoy the early morning sun (or to hide for the sun later in the day). The holiday home also has a traditional outside pizza oven to prepare your own pizzas. 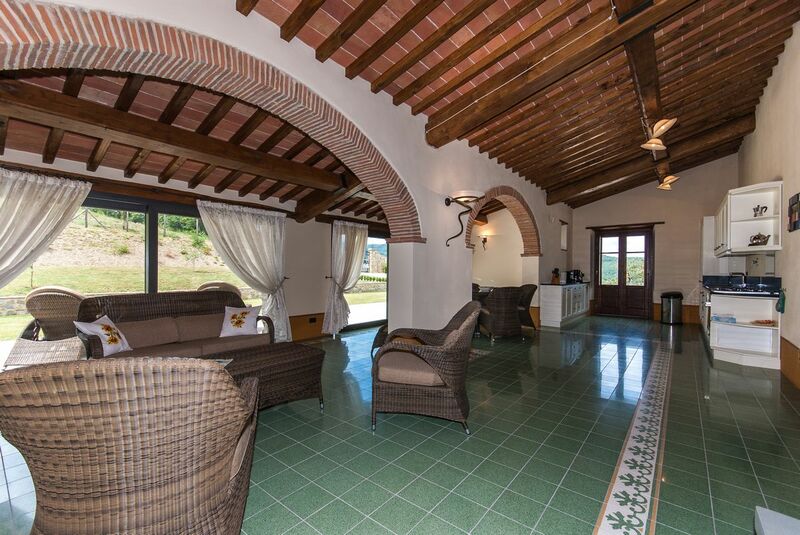 Spacious entrance hall with a storage facility. 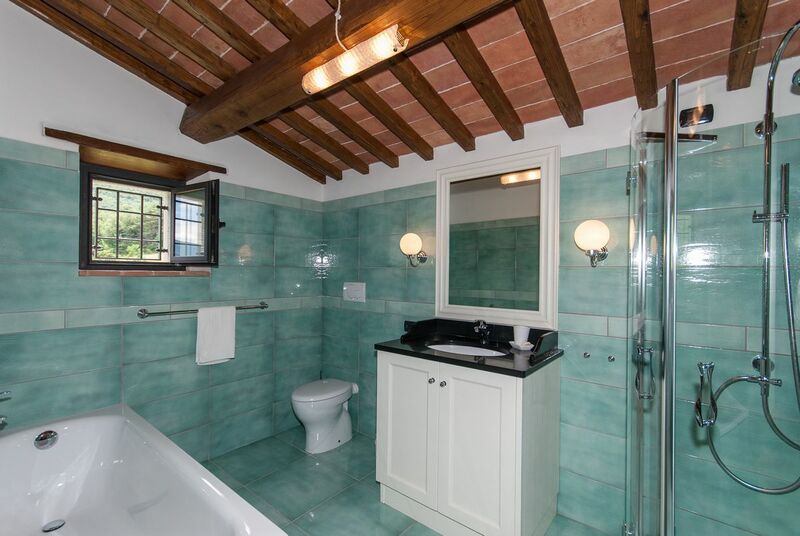 A small hallway is leading to the living room and the master bedroom with a private bathroom. 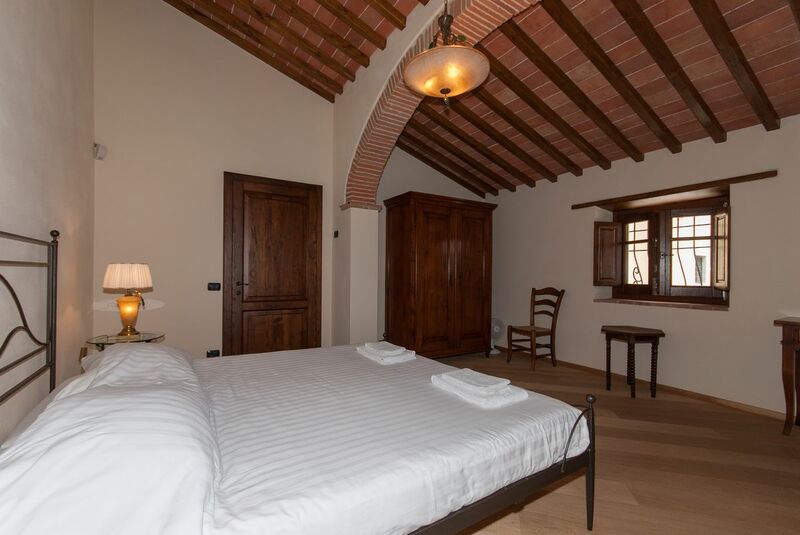 The master bedroom has a doublebed of 180 x 210 cm and offers also access to the loggia. 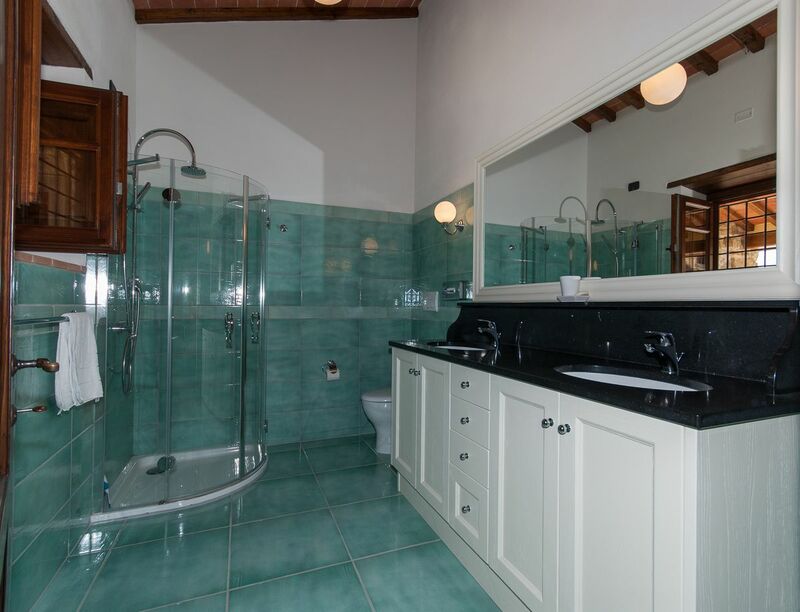 The bathroom has a shower, toilet and a closet with two sinks and a large mirror. The spacious living room with a well-equipped kitchen has a dining area and a sitting area with a fireplace, satellite TV and wifi. 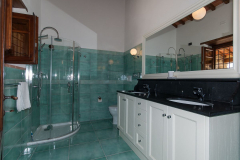 The second bedroom has a bunk bed (90 x 210 cm) and a private bathroom with a shower, bath, toilet and a closet with a sink and a mirror. Casa Girasole has floor heating and air conditioning in the living room and both bedrooms. 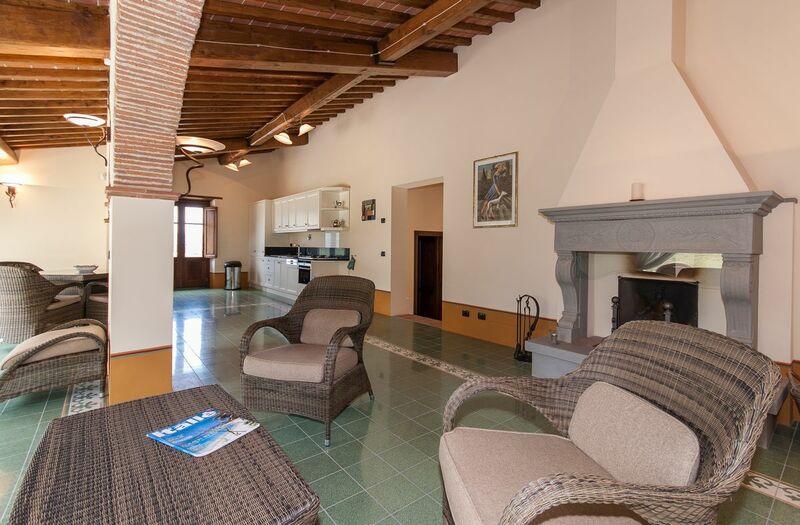 The apartment is furnished with a combination of antique furniture and modern Polynomial Mocca furniture. 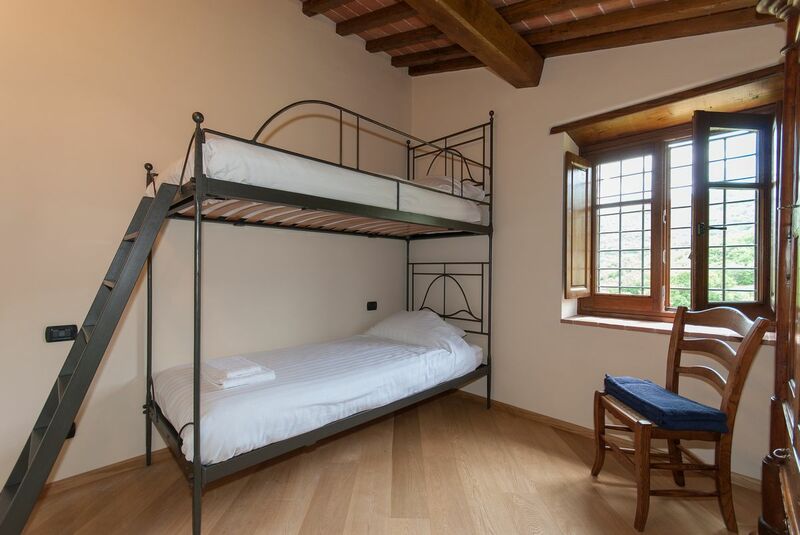 The bedrooms have handmade wrought iron beds. The kitchen is equipped with Siemens appliances (fridge, freezer, oven, dishwasher and gas hob). 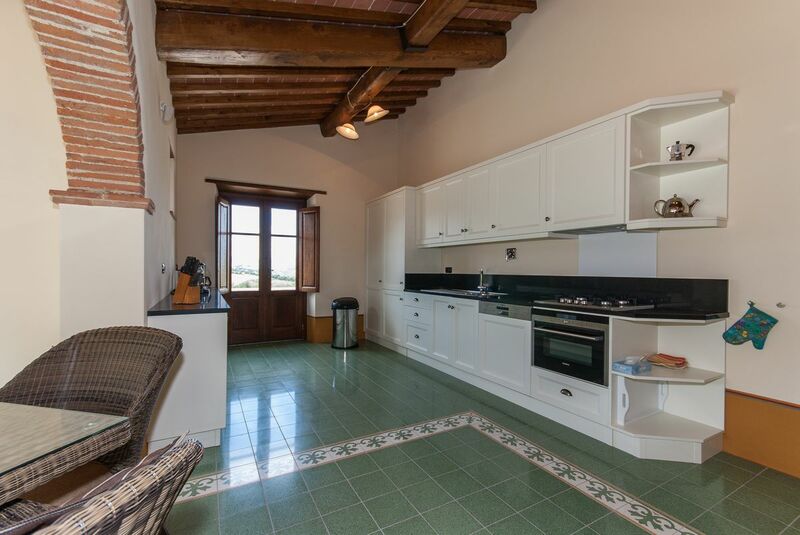 There are also: pan set, crockery and storage boxes, a Philips coffee machine and a Nespresso coffee machine. The holiday apartment in Tuscany, Italy features cotto tiles in the entrance, parquet in the bedrooms and granite tiles in the living room/kitchen. 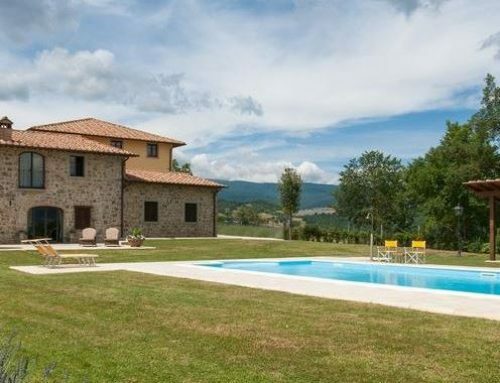 Find below the weekly rental rates. During the high season the check-in/check-out day is Saturday. 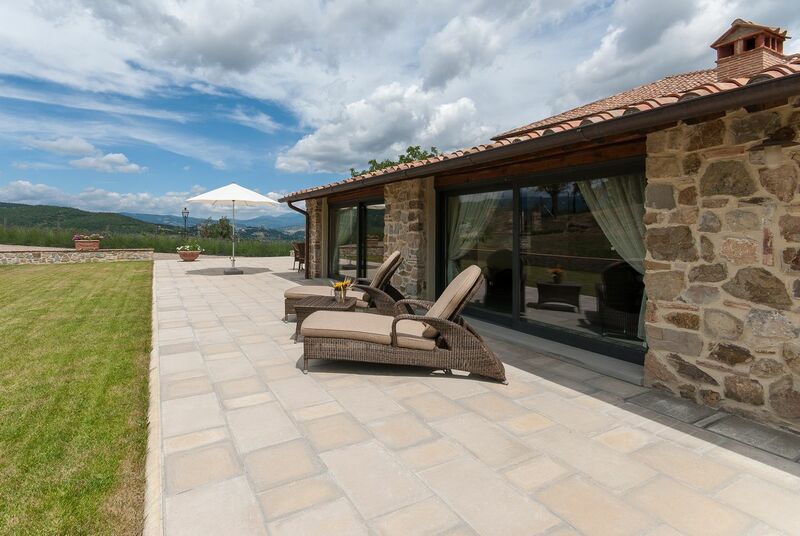 Outside the high season we are able to offer more flexibility. 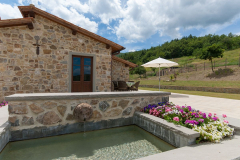 See also the 60Plus program. 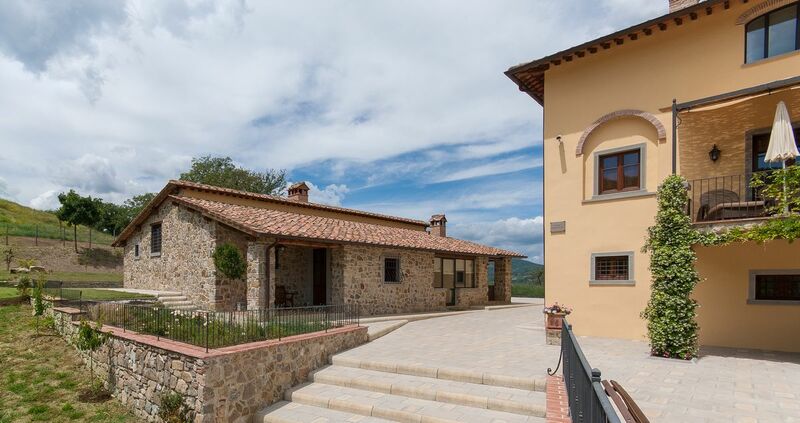 All payments are to made to our bank account in Euros in advance of your stay at Borgo La Casa. 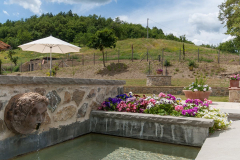 the use of the communal swimming pool. 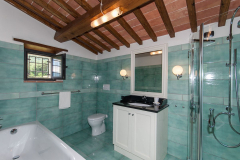 The above rental rates exclude the final cleaning fee (EUR 120).